You must buy a minimum of 105 and in additional increments of 105 due to manufacturer packaging. This product can be ordered in continuous lengths up to 105 linear ft. 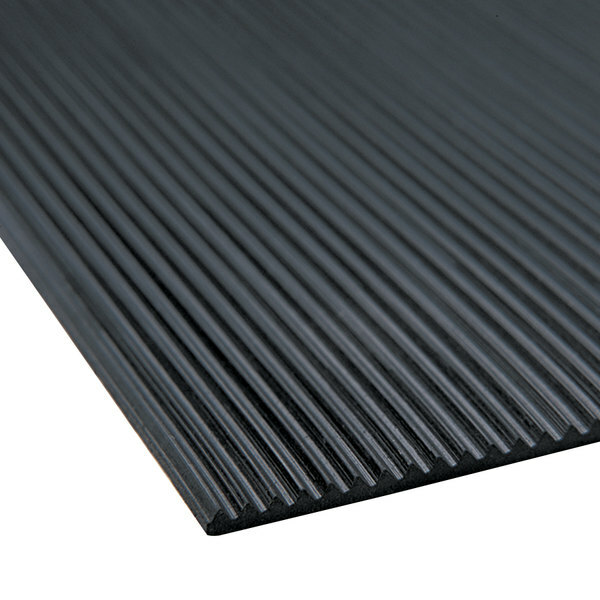 The deep groove design of this Cactus Mat 1010R-C2 2' wide corrugated black vinyl runner mat effectively scrapes dirt and debris from shoes while promoting safe footing for ramps, wet areas, and even cold conditions. It is not, however, intended for heavy or rough use like a similar rubber mat. Rather, this mat is perfect for businesses looking for something light-duty to protect their floors while improving footing and safety for employees, guests, and customers. It's great for lower-traffic areas of hotels, small convenience stores and shops. 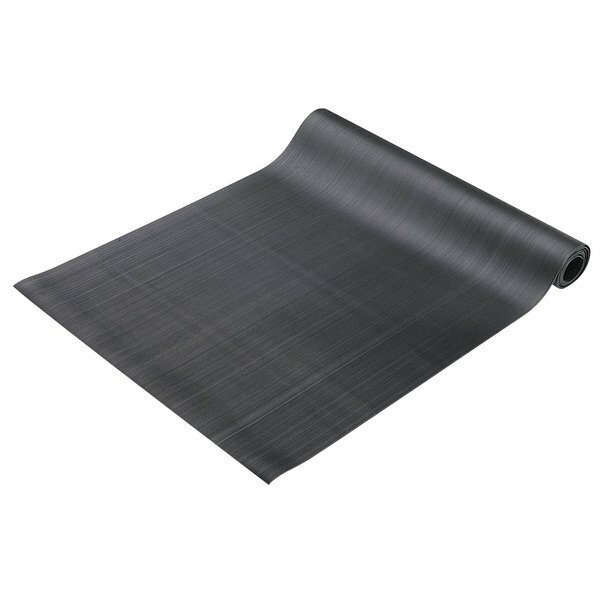 The simple black finish looks great in all kinds of different settings, making this corrugated vinyl mat a versatile choice for your business no matter where you decide to use it. Cementing or gluing this mat to the floor is not recommended.